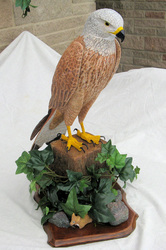 John is a self-taught bird carver/sculptor who works in a variety of woods. He lived in the USA for four years where he was introduced to the art of Decoy Carving who's origins lie in wildfowling. 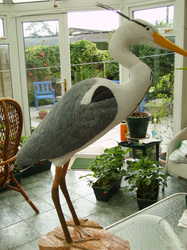 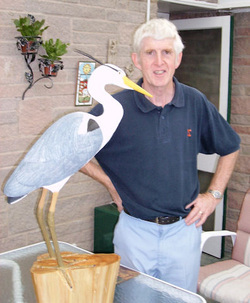 Within this art form John has developed his personal style to embrace a wide spectrum of bird life. 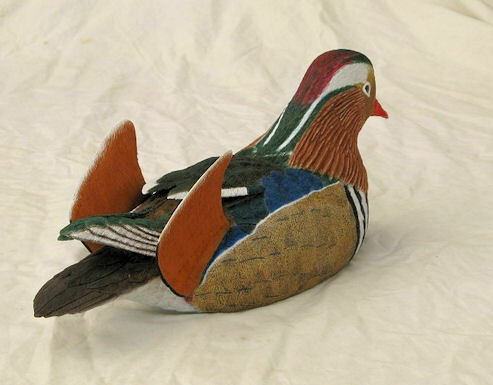 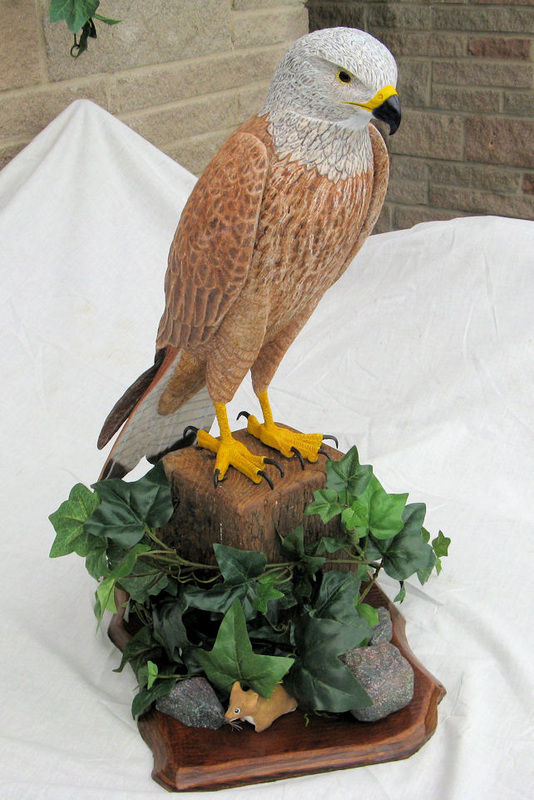 He has successfully competed in national competitions, being awarded Gold, Silver and Bronze in national competitions run by the British Decoy and Wildlife Carvers Association (BDCWA) and has been featured in the Guild Of Master Carvers publication 'Woodcarving' having won a special award in their annual competition. 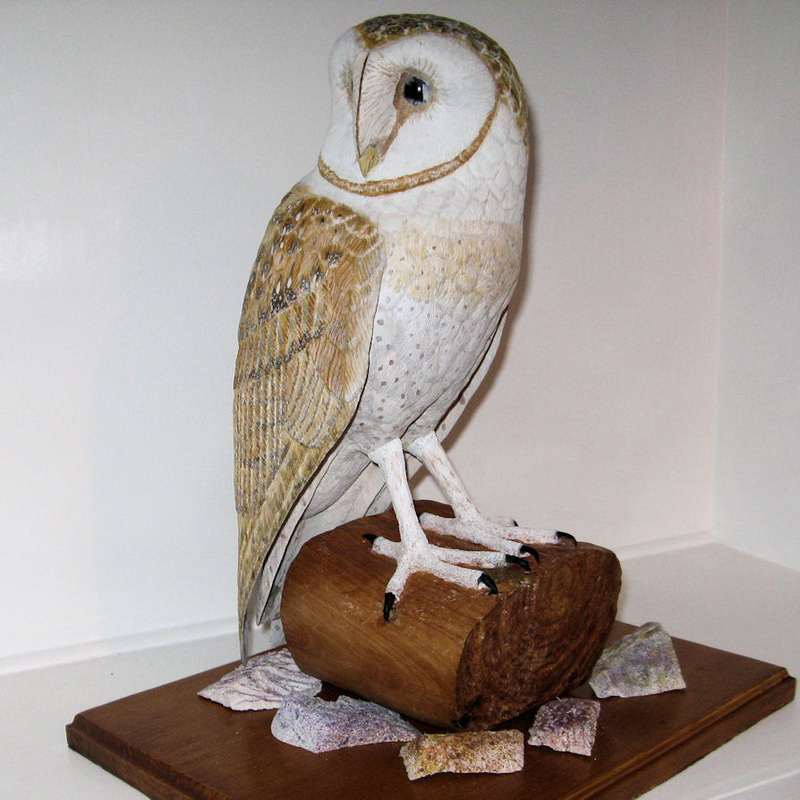 John carves in a variety of woods such as Tupelo, Jelutong, Lime, Ash and Pine to mention a few. 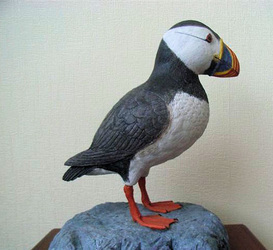 Like many other bird carvers John chooses to use acrylic paints to achieve a realistic finish to his carvings as he says his own words "they enable me to show the vivid and subtle colours of our bird life".